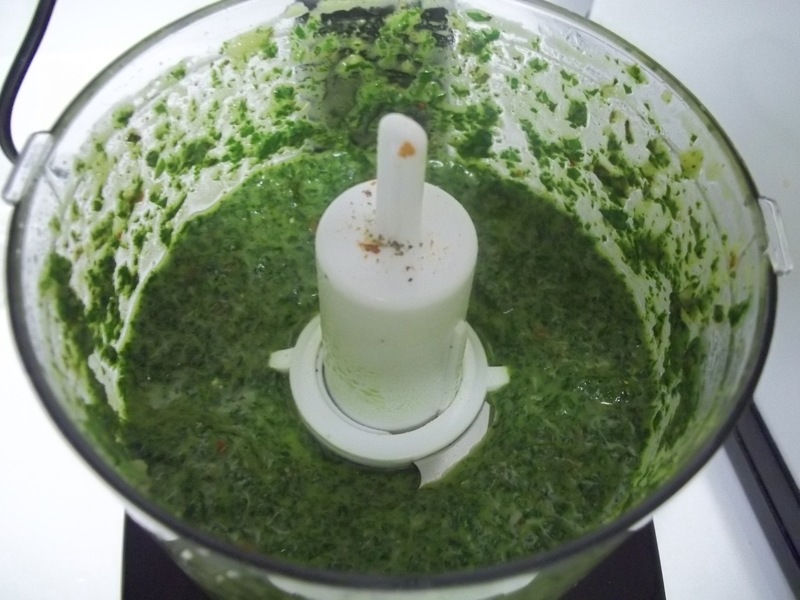 To add some spice to regular steak night, add a chimichurri sauce! Marinate flank steak in one quarter cup of the olive oil, red wine, 1 tbsp. chopped garlic, worchestire sauce, fresh rosemary, salt, and pepper by combining in a plastic bag or a shallow bowl. Steak should marinate for at least 2-4 hours, preferably all day. 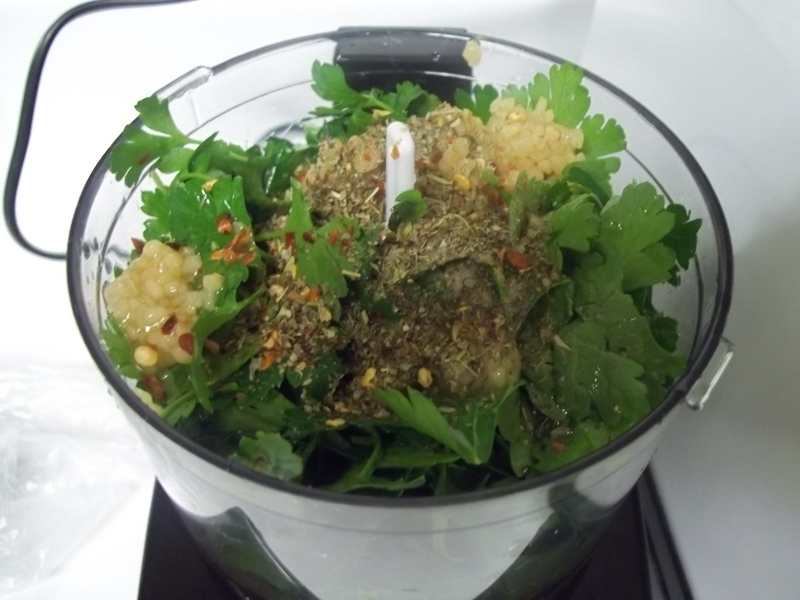 In a mini food processor, add parsley, 2 tbsp. garlic, 3 tbsp. olive oil, raspberry vinegar, lemon juice, italian seasoning, lemon pepper, and red pepper flakes. Pulse on high until combined. Let steak sit for about 5-10 minutes then cut into strips. 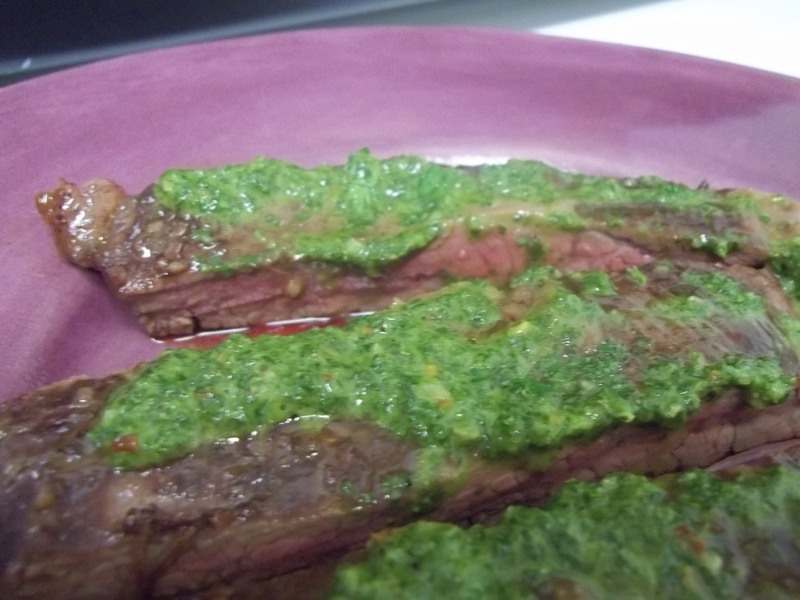 Serve steak strips with chimichurri sauce on top.